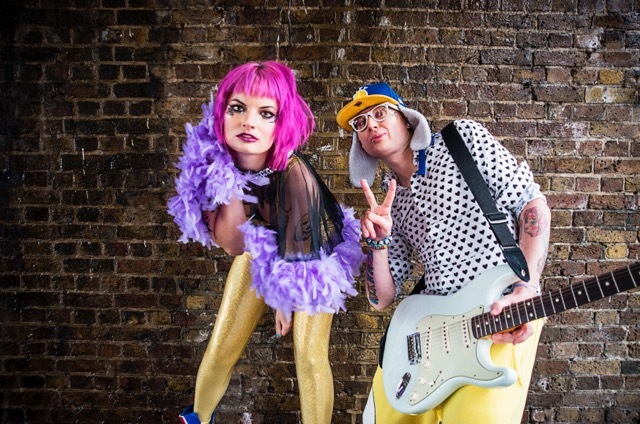 In the video for “Papercut,” Tokyo Taboo have, in addition to providing a clever narrative, bluntly asked us what goes into making a hit today. Last year, Tokyo Taboo came out swinging with their debut album 6th Street Psychosis. And it seems like they’re channeling that same boundless energy again this year. 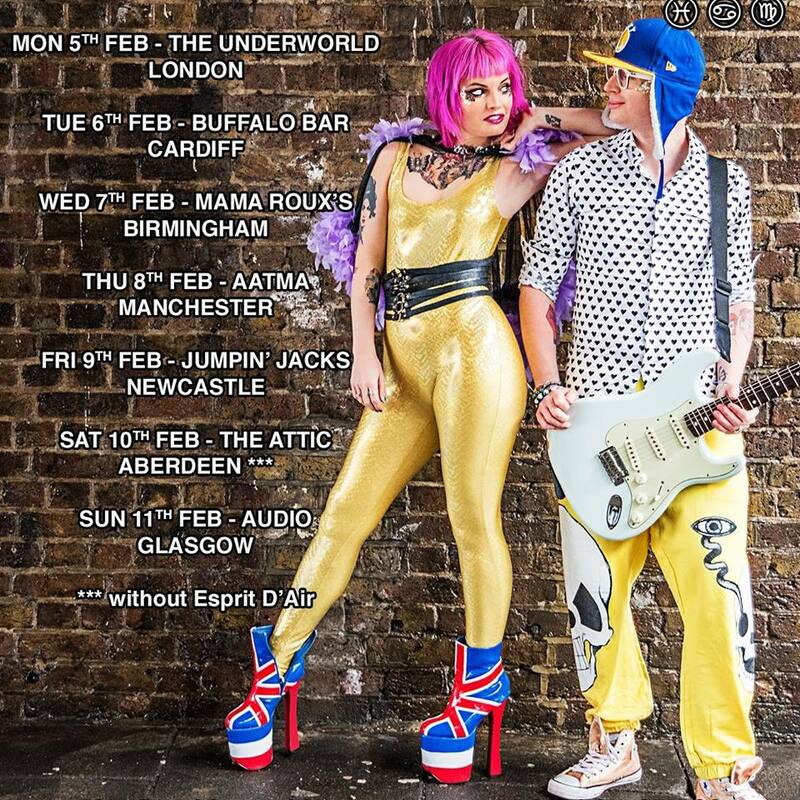 The London punk-pop duo are back with their trademark brand of pop-punk in their latest single, “Papercut” (out 2/2/18 via TT Records), for which Atwood Magazine is proud to be premiering the music video today. Following up on last year’s debut album 6th Street Psychosis, “Papercut” and its accompanying music video are a frenetic, tongue-in-cheek ride through a wall of solid pop-punk. The music video opens on what looks like roadies setting up for a gig, before cutting abruptly to a grainy shot of the band. Frontwoman Dolly Daggerz leans closer to the camera before bellowing “Push me to the edge/So I bang bang bang my head.” As the guitar comes in, we cut back to the underground “venue,” where a cluster of lab-coated scientists herd a group of apathetic twenty-somethings into the space. As the people waiting play on their phones, the scientists begin to outline a plan on a whiteboard, with one word visible: “Death.” None of the other folks seems to notice, and as the song chips along, all energy and fast punk, we get the gist of what’s going on: this is a research group who will test whether or not “Papercut” will become a hit. How? As the video unfolds, we see that the evil experiment is simple in theory: the test group, in a play on market research, will strip down and try to approach the amps as they blast “Papercut.” If they’re unable to survive the sheer exposure to rock, “Papercut” will be deemed a hit. Which, of course, is an experiment designed to go horribly wrong and result in the spontaneous combustion and/or dismemberment of the entire test group. As test subject after test subject braves approaching the amps, we’ll see if “Papercut” really will have what it takes: enough fatalities to become an approved, certifiable hit. In turn, as the song plays, the lyrics become even more tongue-in-cheek as blood runs deeper through the test area: the damage is, obviously, much more extensive than that of a small cut. Hurt me, hurt me so much? The video’s crowning moment of the video is at the very end when a scientist stamps APPROVED: “Papercut” is a hit, but with a high body count. In accomplishing this, Tokyo Taboo and director Gabriel Ralls have, in addition to providing a clever narrative, bluntly asked us what makes a “hit” today.